Let’s go salmon fishing! During the summer, millions of salmon are found in the rich waters of Cook Inlet. King salmon, silver salmon, and red salmon arrive each year in search of food and their native spawning rivers. 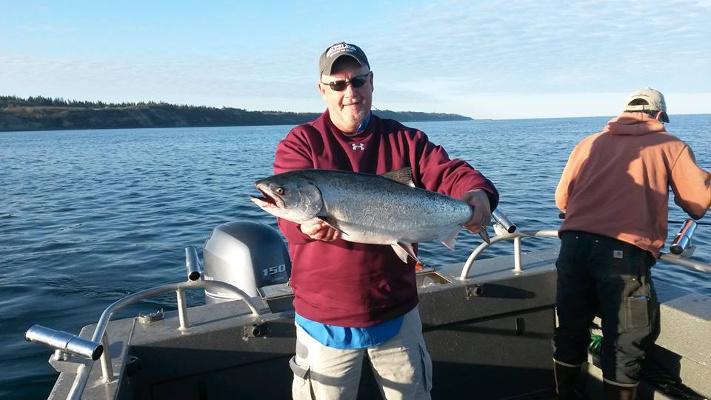 Here at Gotta Fish Charters we love to chase salmon in the salt water! 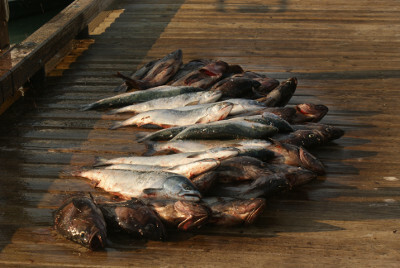 Listed below are the salmon fishing charters that we offer. Please feel free to call us at anytime and we would be happy to discuss salmon run timing, daily limits, and any other questions you may have! During early summer, thousands of king salmon swim up the coast of Cook Inlet in search of their natal spawning streams. Trophy sized kings heading to the world famous Kenai River (home of the world record king salmon) pass right by us within a mile of shore. Gotta Fish Charters offers the chance to tackle one these legendary rod busters on our halibut / king salmon combination trip. 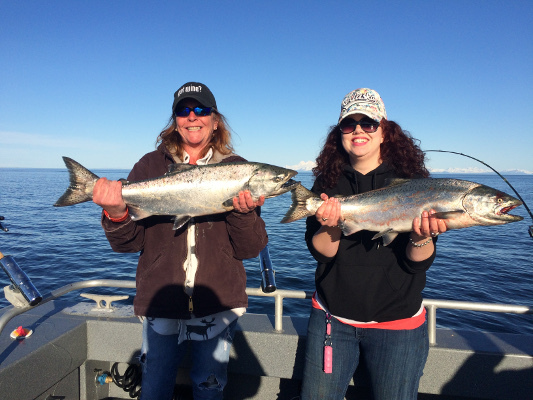 Available during the month of May, we spend part of our fishing trip trolling for king salmon and then head out to deeper waters to fish for halibut. The salmon at this time of the year are on a feeding frenzy as they fatten up for the spawning run. They are fat, shiny-bright, and provide huge delicious bright red fillets! 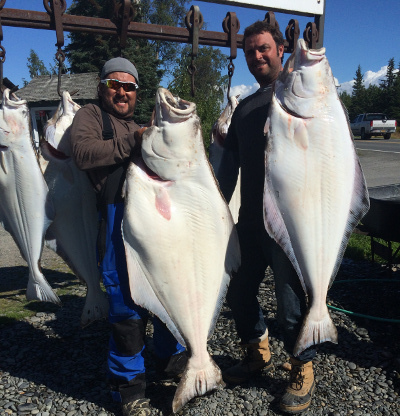 After our troll, we reel in the gear and head out to the deep water to fish for halibut.This trip is an excellent way to fill the freezer with two of the best tasting fish Alaska has to offer! Rock Fish, Salmon, Black Bass, and Whales! 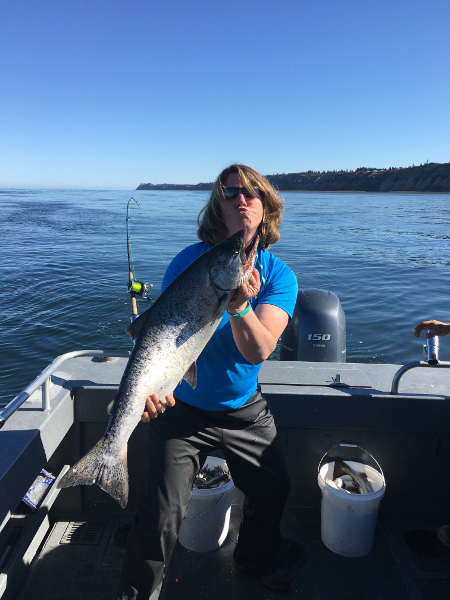 Rock Fish, silver salmon, black bass and whales! Join us on this charter as we chase a fun day on the scenic waters off the southern end of the Kenai Peninsula. 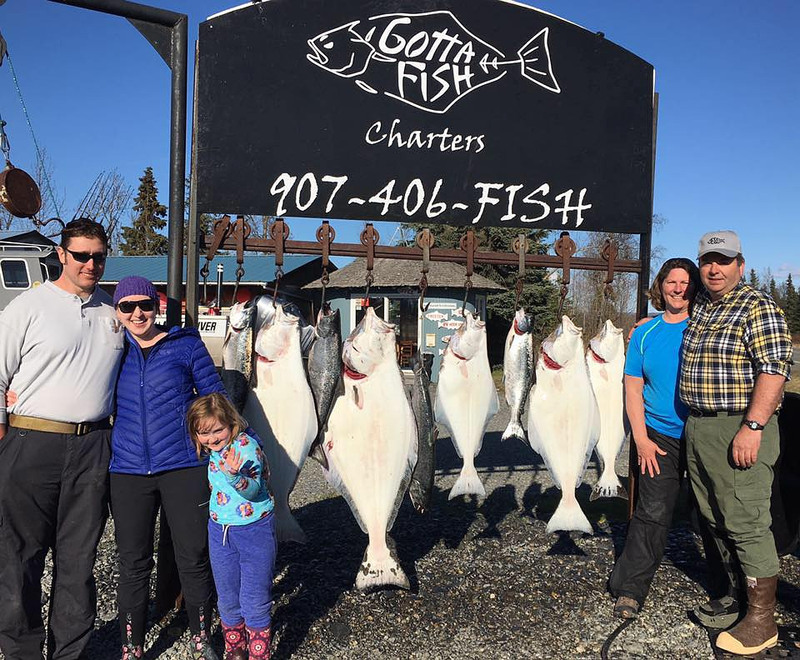 This trip offers the unique opportunity to catch different species of salmon and rock fish, while enjoying the breathtaking beauty of the surrounding mountains and glaciers of southern Cook Inlet. We often see whales and plenty of other wildlife on this trip so be sure to bring your camera! The king salmon daily limit is 2 per person and the silver salmon limit is 3 per person. Black bass limit is 4 per person. Please feel free to give us a call if you are interested in this trip. We would be happy to discuss what types of salmon will be here when you are! 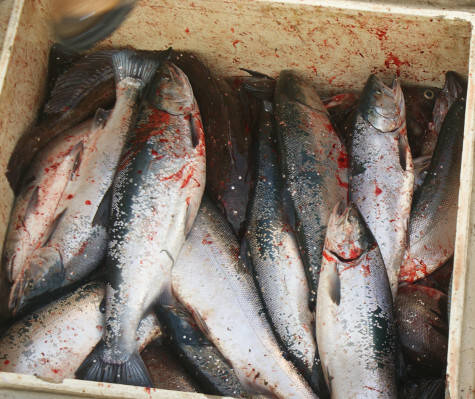 Silver salmon arrive in Cook Inlet right around the end of July. These acrobatic salmon are extremely aggressive and are a heck of a lot of fun to catch! The average size of silver salmon (coho salmon) is about 8-12 pounds and the daily limit is 3 per person. 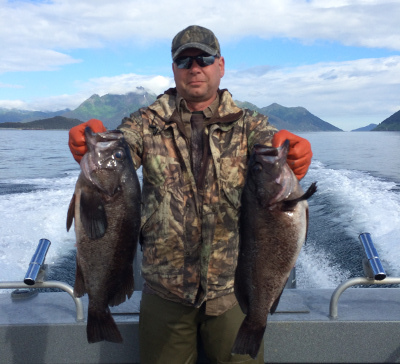 Come join us on a silver salmon / halibut combination trip! Not only will we go hunting for giant pacific halibut, but we will also drop trolling gear and have a blast catching crazy coho’s!